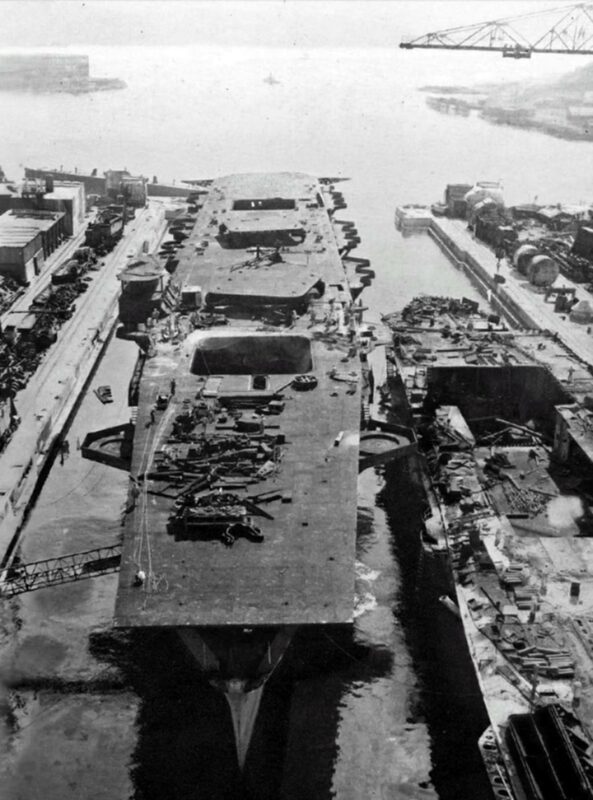 Unfinished Japanese light aircraft carrier “Ibuki” at the shipyard in Sasebo during preparation for the dismantling after the defeat of Japan in World War II. The aircraft carrier “Ibuki” began to be built as the lead ship of a new series of heavy cruisers, but in 1943 after the launch it was supposed to be completed by completion in the form of a tanker, and then finally as a light aircraft carrier. The works were stopped in March 1945. It was planned to place the air group in 27 aircraft.